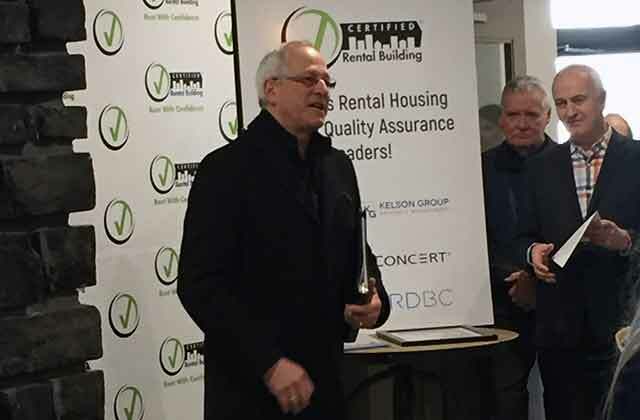 Kelson Group recently celebrated its success in becoming a "Certified Rental Building" property manager for its six apartment buildings in Langley and Abbotsford, BC. 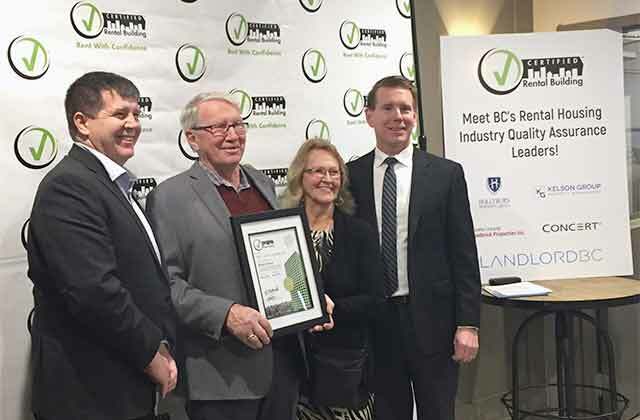 Representatives from Kelson Group and LandlordBC gathered with residents on Dec. 13 at the Kelson-owned Lexington Court in Langley to celebrate the accomplishment, which requires rental apartment buildings to meet quality assurance measures across 50 Standards of Practice within the program. 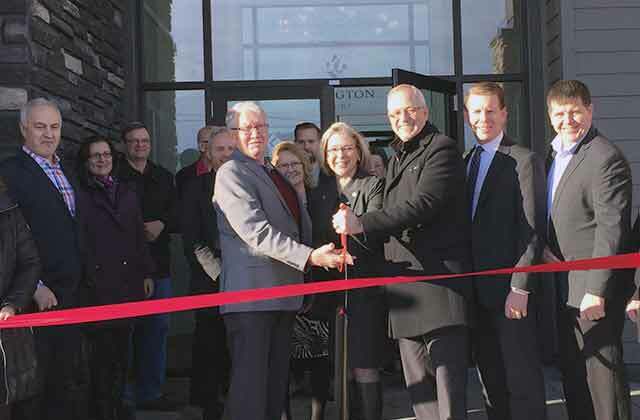 "Becoming certified is another important step for Kelson Group in being accountable to our residents and maintaining a standard of quality through out the buildings we own and manage," said Jason Fawcett, Vice President, Operations, at Kelson Group. 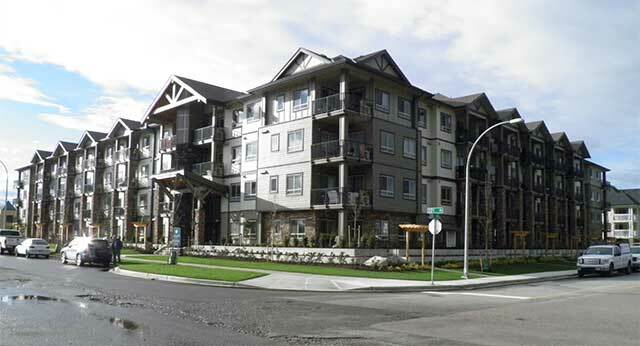 "Our goal is to have all our BC-based buildings certified within the next year." 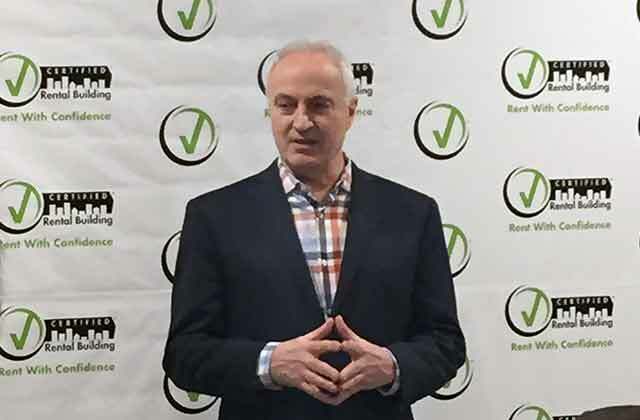 The Certified Rental Building (CRB) program is new in BC and was launched in the past year under the guidance and administration of LandLordBC, which follows a similar program model in Ontario. Under the program, professional property managers go through a wide-ranging audit that measures quality across criteria such as management processes and availability of information for residents, building operations, appearance and condition, among the 50 standards audited by JD Power. 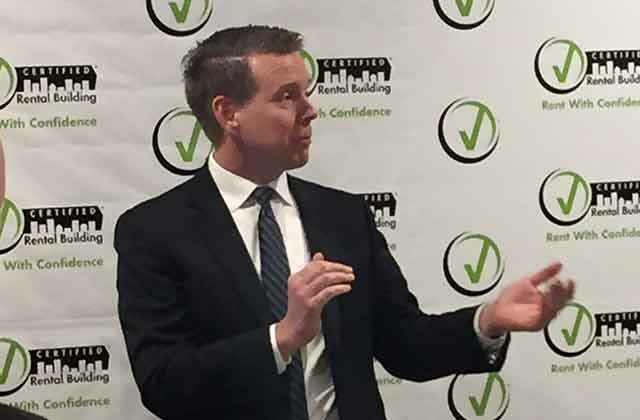 The goal is to promote professionalism in the rental housing industry and provide residents with quality assurances when selecting an apartment. As part of the process, property managers and other building staff must complete required training and courses that meet the audit standards.